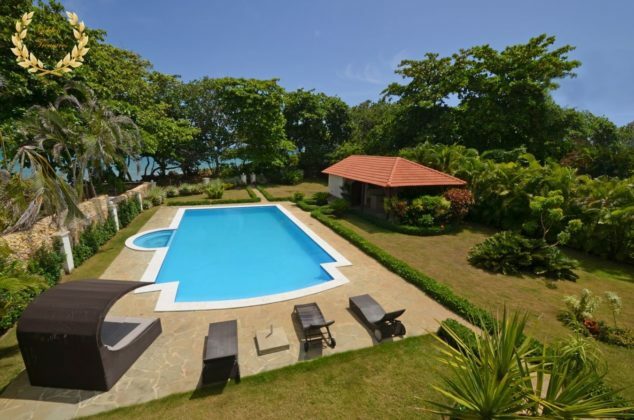 This luxury beach villa sits by the ocean, within walking distance to a secluded beach. 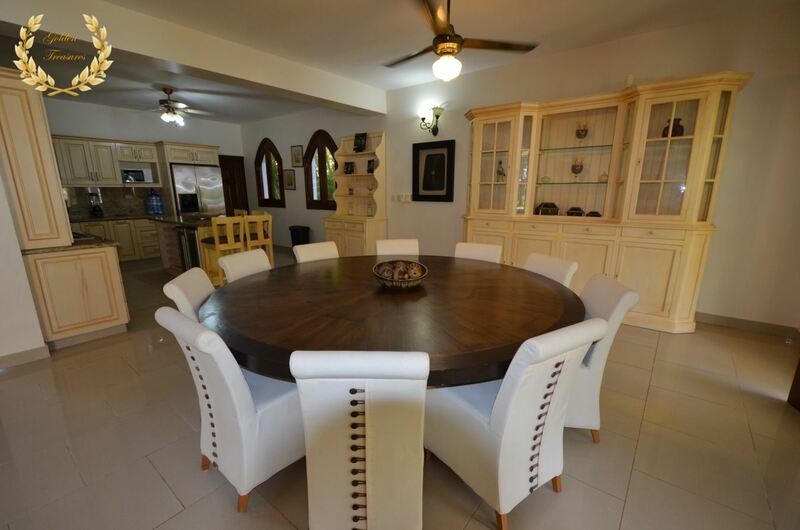 Its grand design boasts spacious living areas, set in two levels that include 6 bedrooms and 4.5 bathrooms. 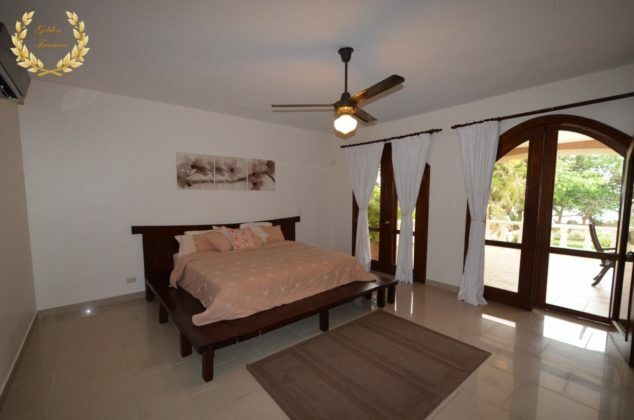 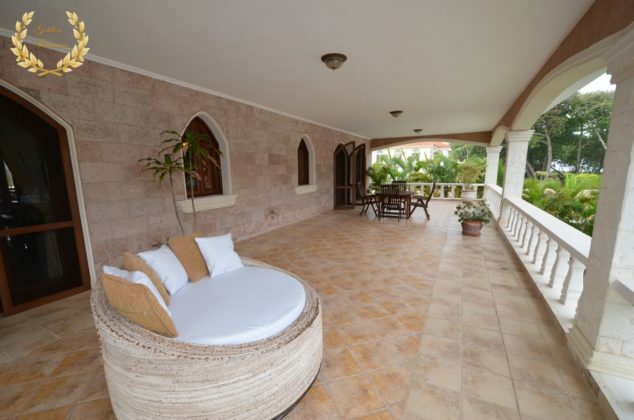 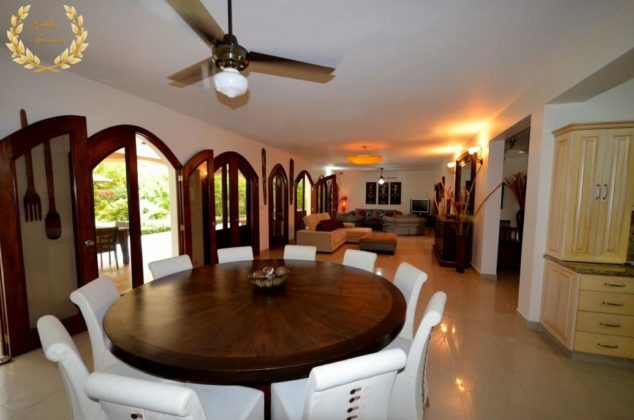 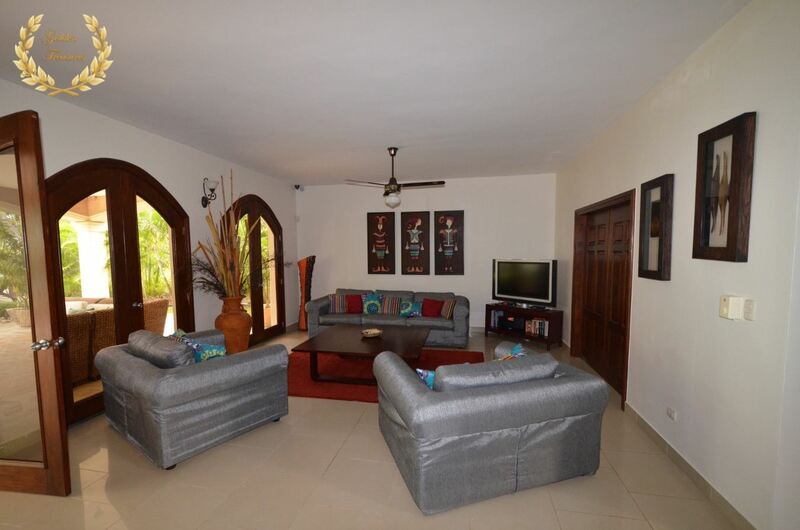 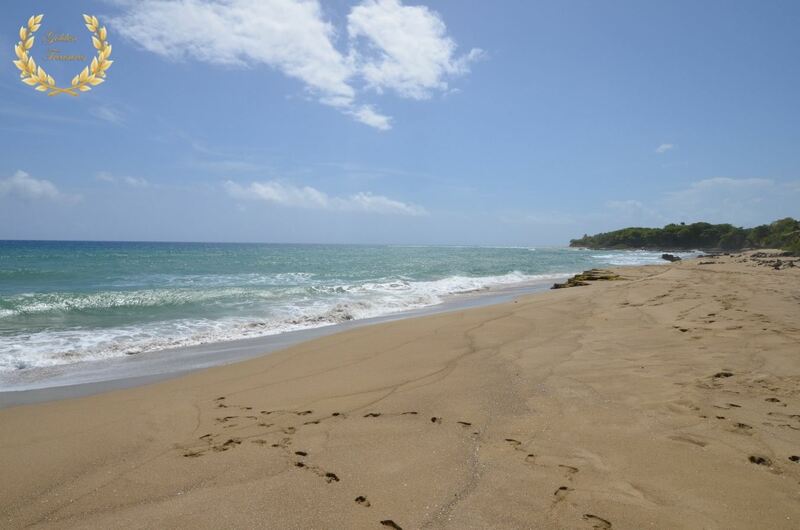 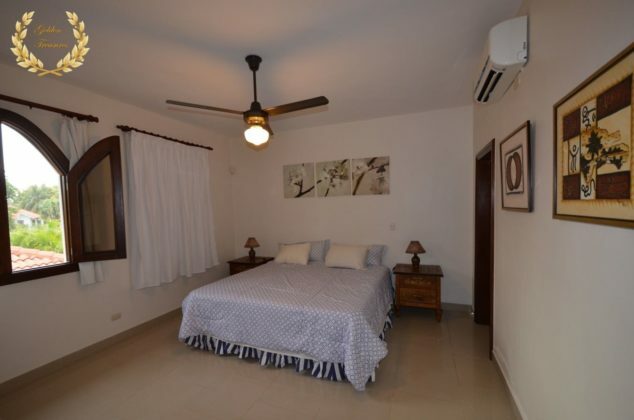 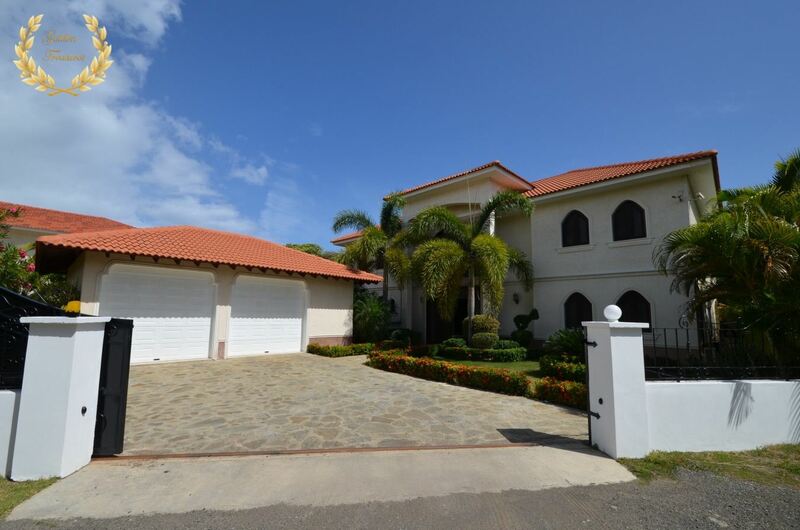 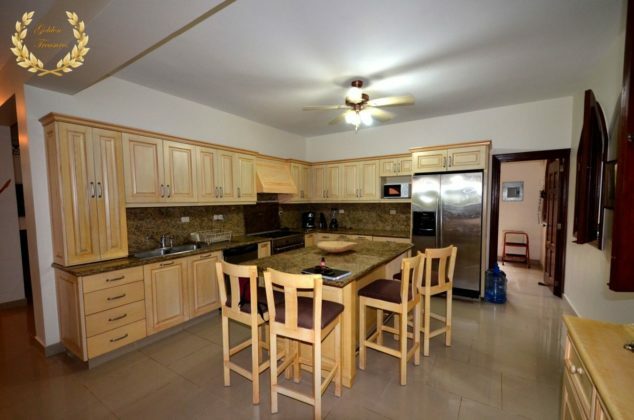 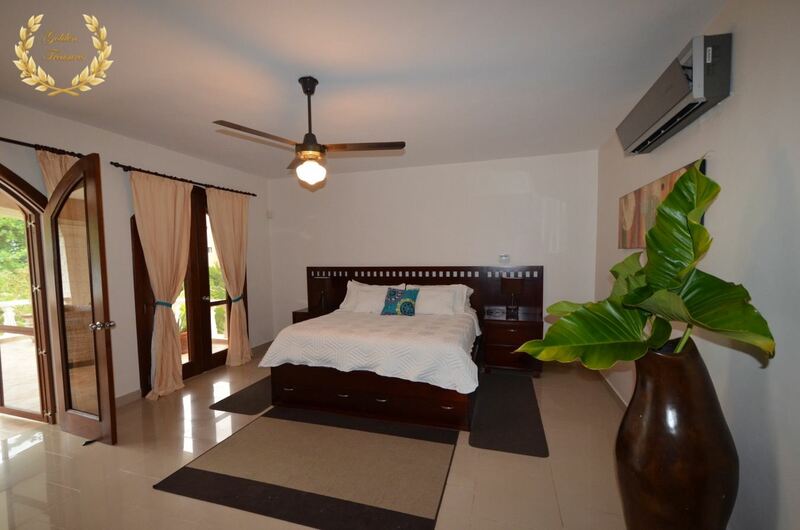 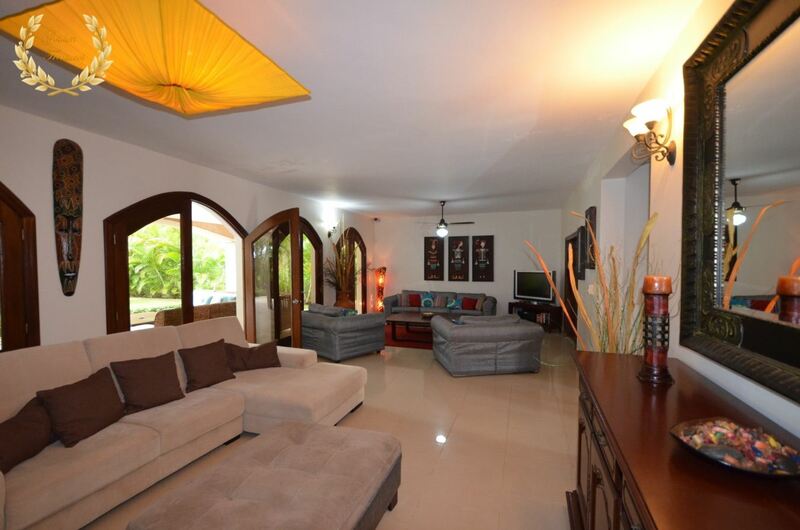 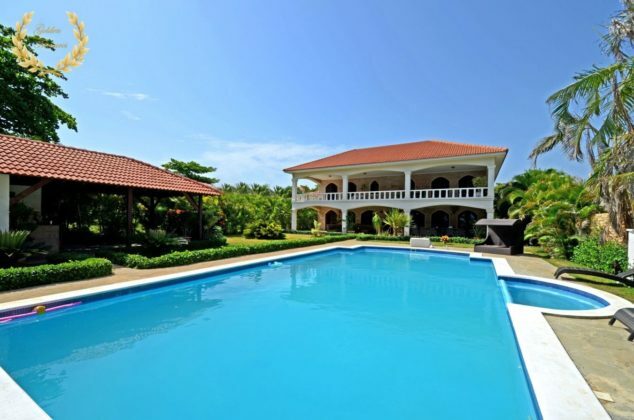 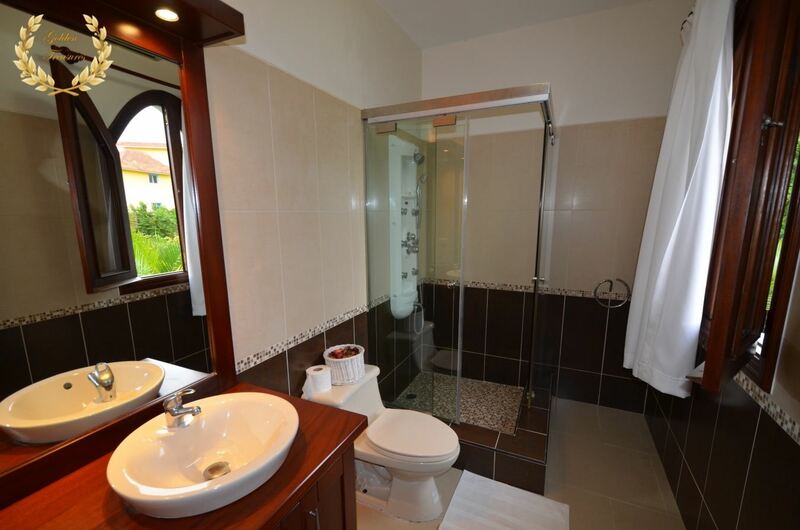 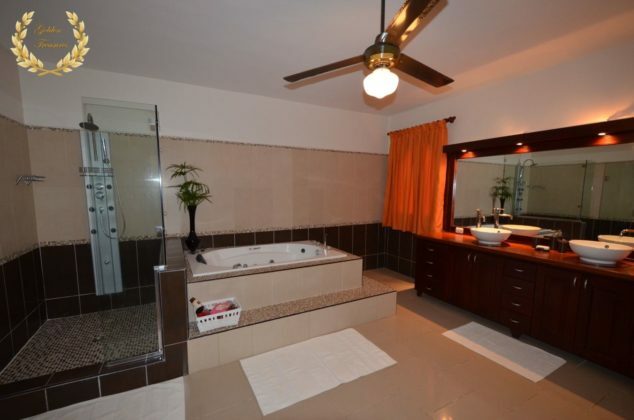 The villa is located in a gated community between Sosua and Cabarete, with access to miles of secluded beaches. Its cul de sac location makes it ideal due to its privacy, and upon arrival guests can park their cars inside the double garage with power doors. The facade is very elegant, with twin royal palms flanking the tall stained-glass motif doors on each side. 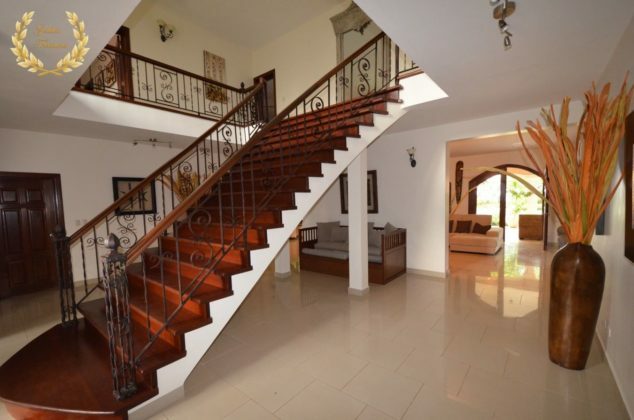 Right after the main threshold, a grand wooden staircase lifts the view up to the second level where the main 4 suites and 4 bathrooms are located.